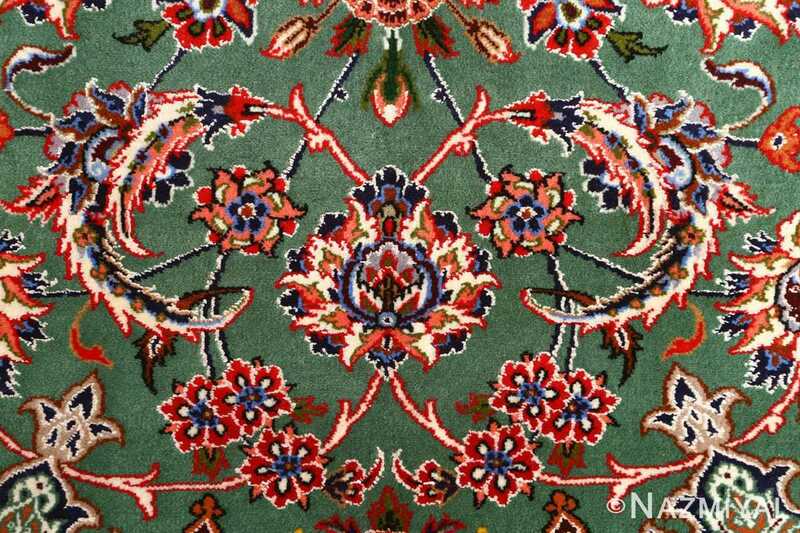 Intricate Green Background Vintage Isfahan Persian Rug 51153, Knots Per Square Inch KPSI: 500, Country of Origin / Rug Type: Vintage Persian Rug, Circa Date: Late 20th Century – A vivid green tone defines the majority of the landscape, designed to establish a more natural tone that stands out against the other elements present throughout this magnificent vintage Persian Isfahan rug. 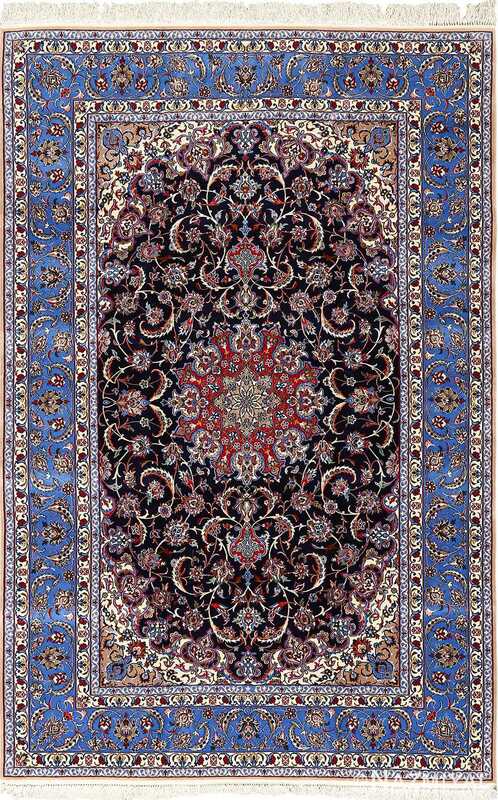 The weaver, of this vintage Persian rug,elegantly creates a brilliant degree of contrast that viewers can focus on, and numerous visually pleasing motifs are present along the foreground to add to the complex intrigue established between the colors and forms. 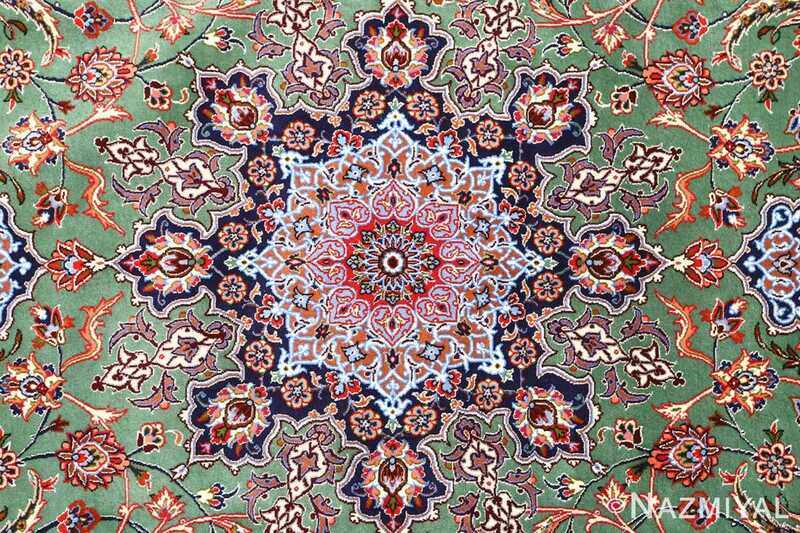 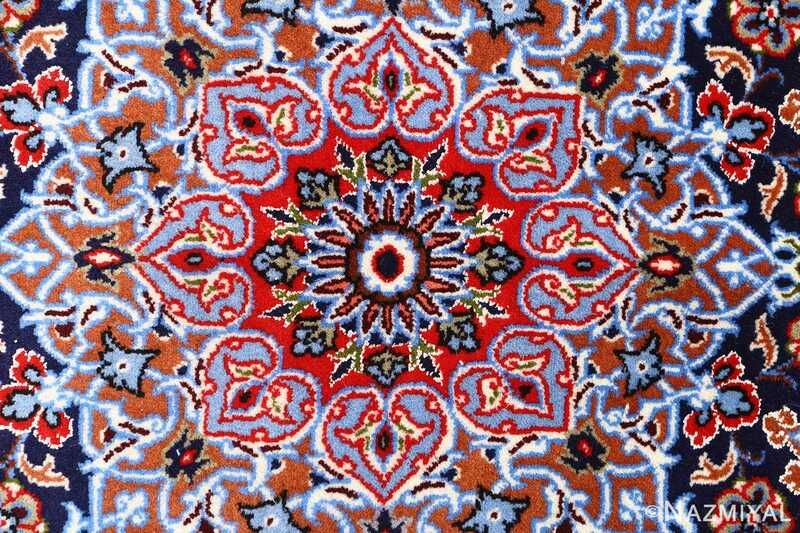 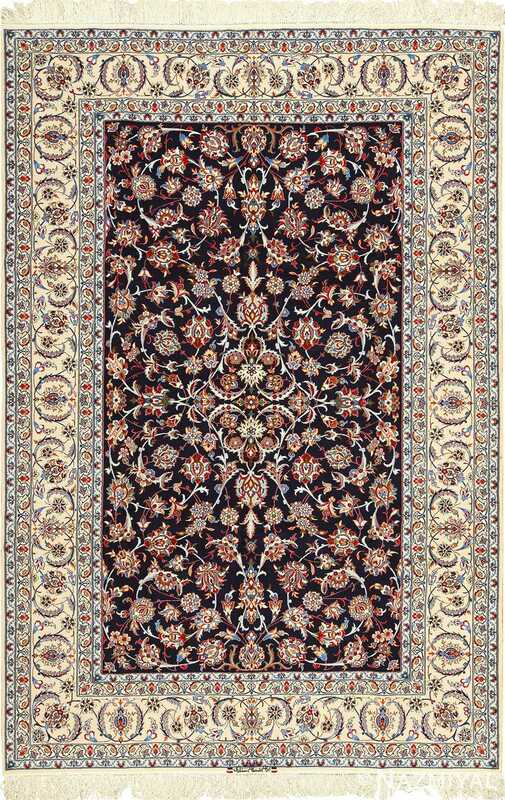 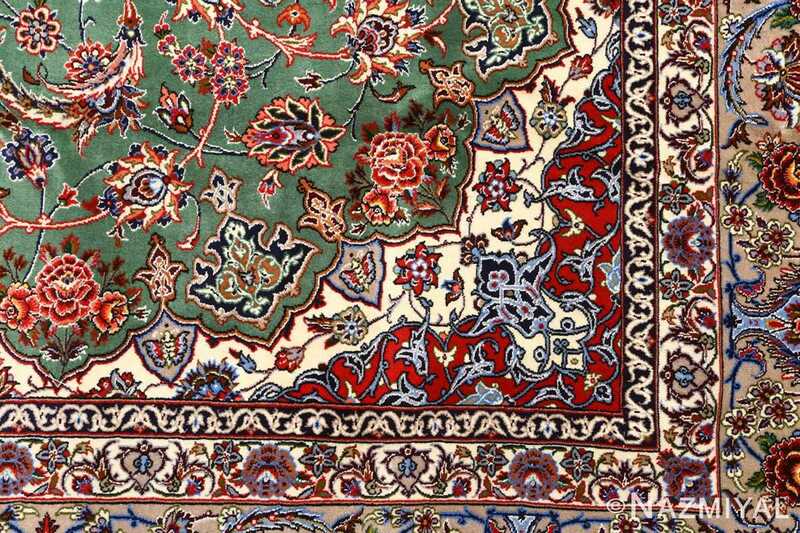 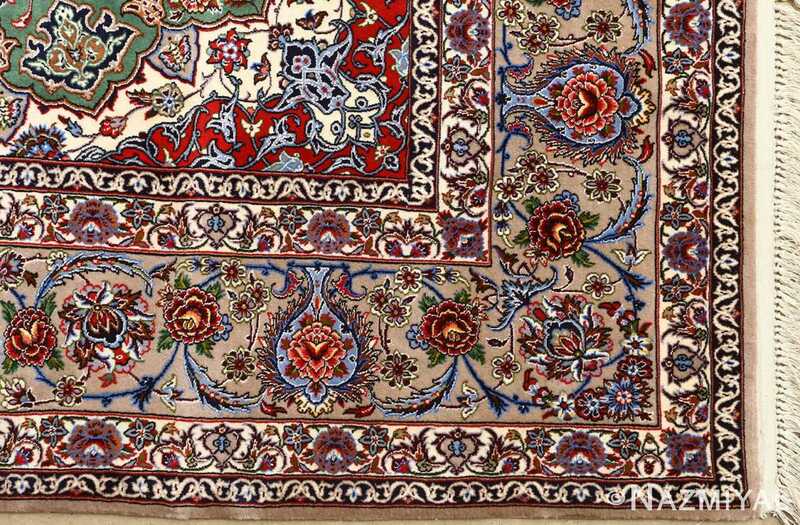 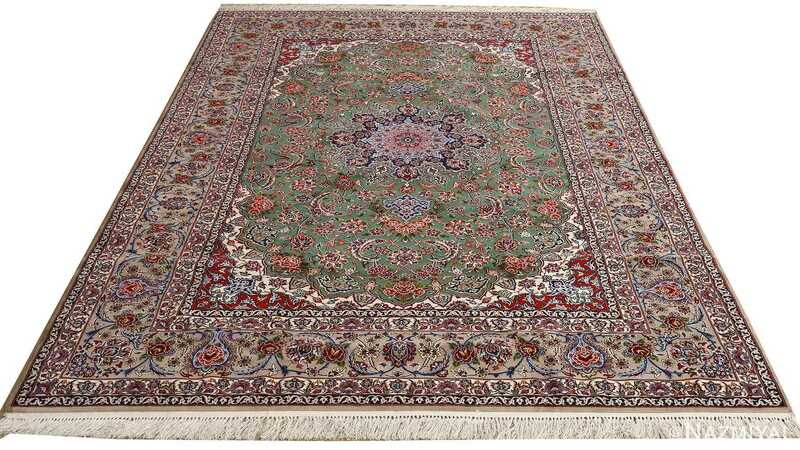 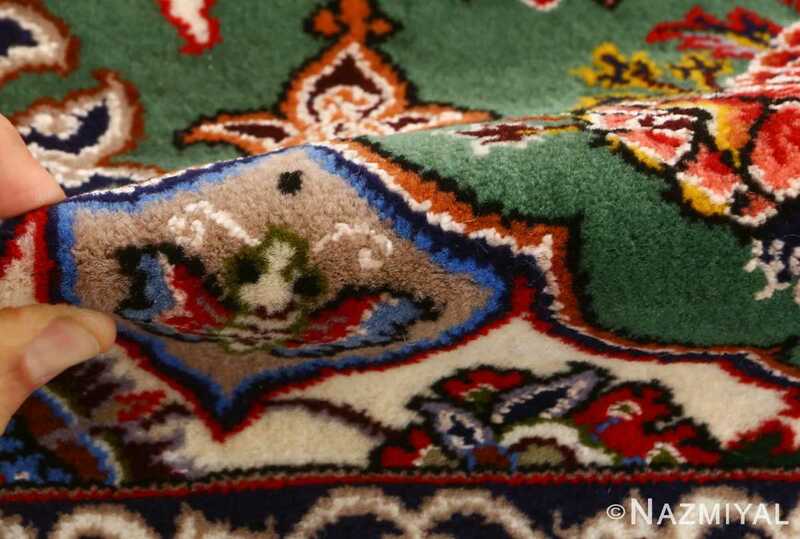 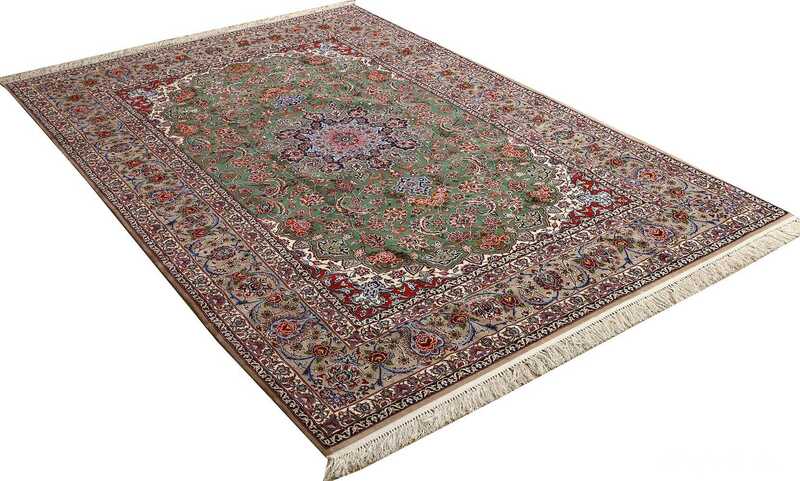 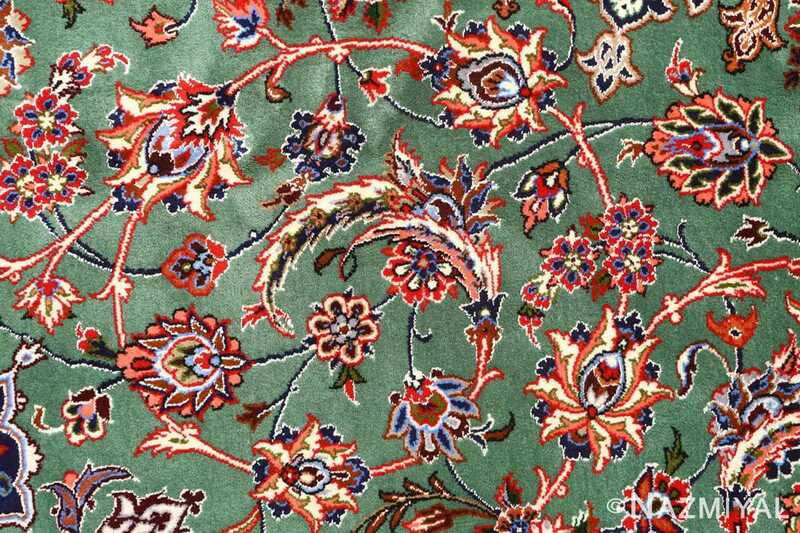 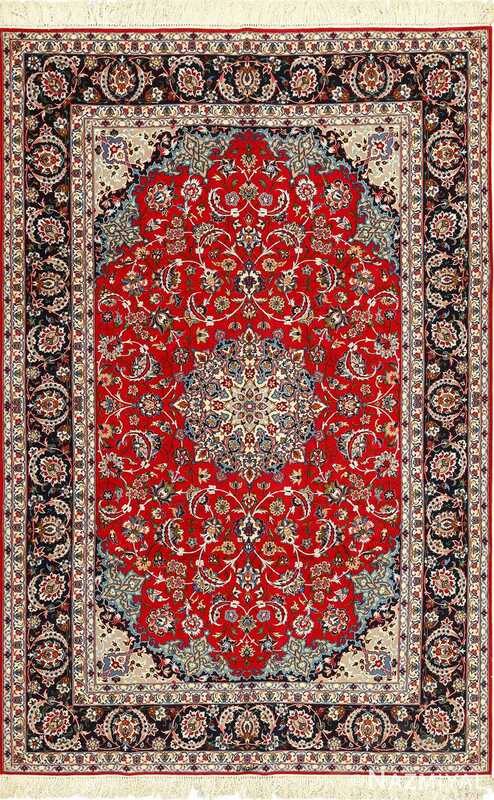 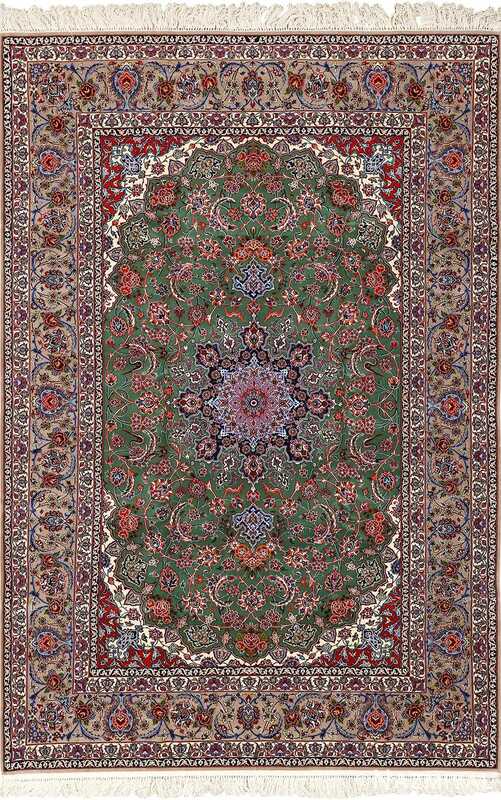 Winding shapes and dancing lines dominate the movements throughout the Persian rug, and the effect is especially pronounced along the borders, where the multitude of dynamic elements lead the viewer’s eyes upward into the heart of the vintage rug. 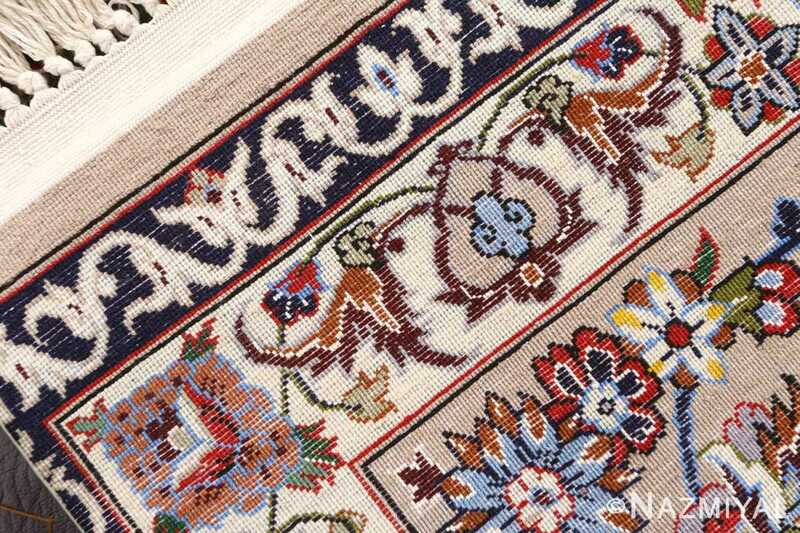 Here, a single focal points unifies the rest of the decorative themes found throughout.